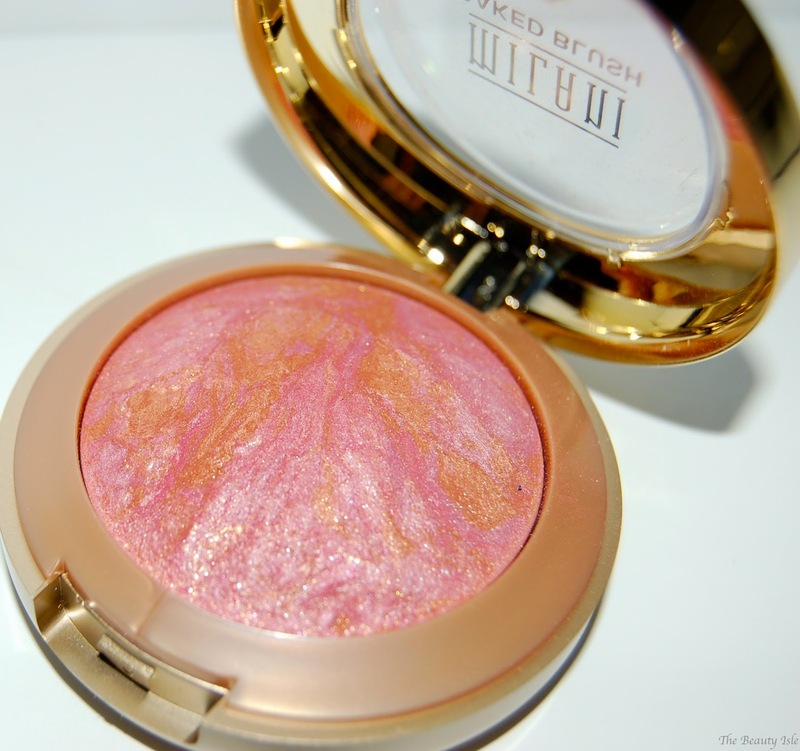 Today I'm going to discuss the much loved Milani Baked Blushes. I feel like the last beauty blogger to try these but I'm glad I finally did! I got these as a Christmas gift from my lovely friend Tanya. These blushes are really popular in the beauty community. I own 3 shades, Red Vino, Berry Amore, and the very popular Luminoso. 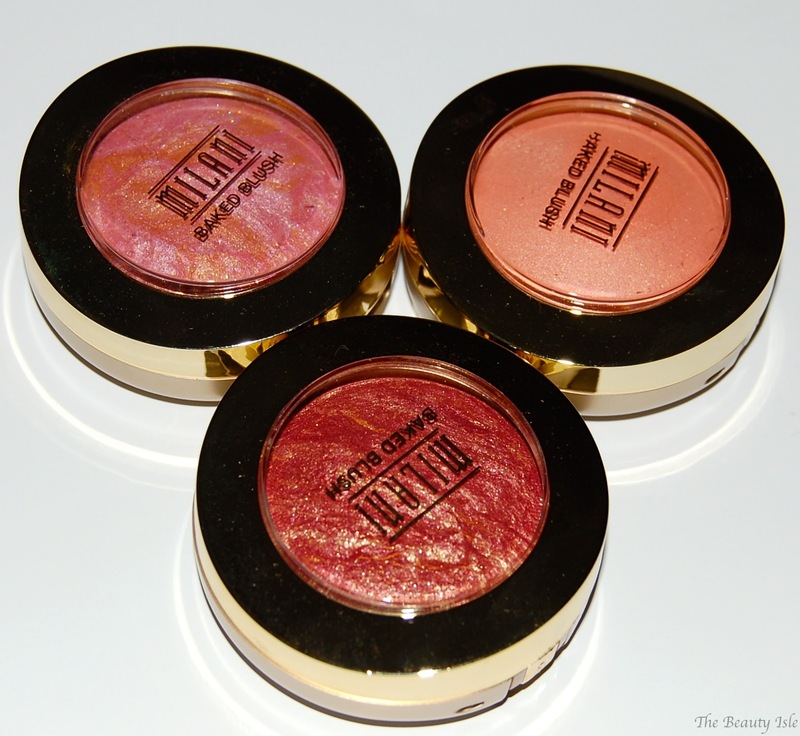 All 3 of these blushes are extremely pigmented. Looking at these blushes in the pans, they look like glitter bombs, especially Red Vino and Berry Amore. However, on the cheeks they are just slightly shimmery. Red Vino below is pretty darkly pigmented. 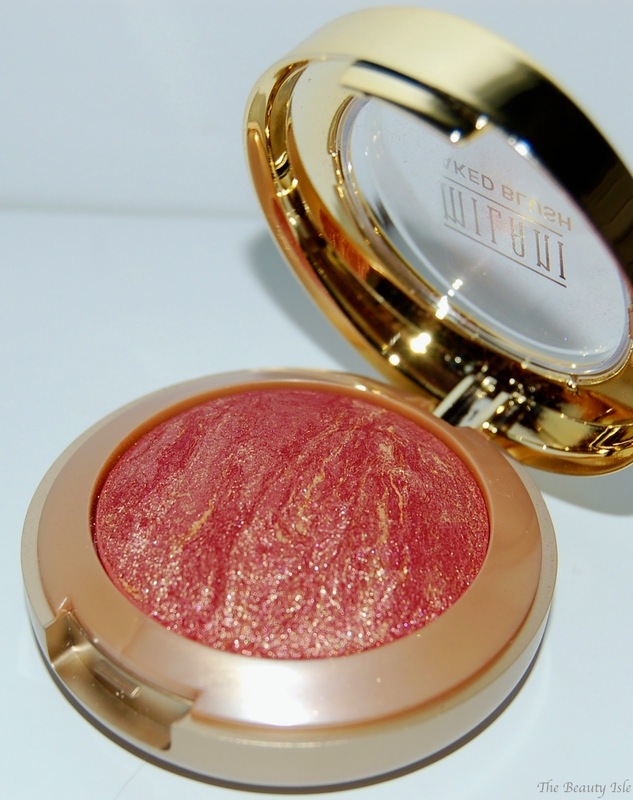 It is a magenta shade with gold shimmer veining baked in. Fair girls should be very careful with this color, I have to use a very light hand and use a stippling brush to apply this. Berry Amore is a lighter pink shade with gold shimmer veining. It's also very pigmented and should be used with a light hand. I would say this shade is more safe for the fair skinned girls than Red Vino. Luminoso is absolutely gorgeous and the least shimmery of the 3 shades that I own. It's a peachy/coral shade. 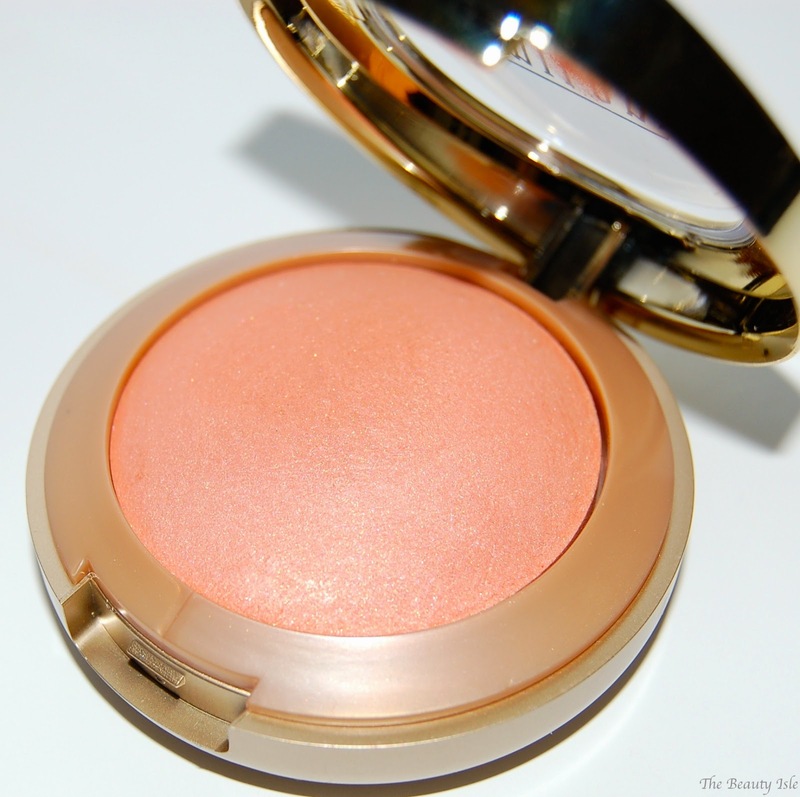 I do have to apply a few layers of this blush to get a flush on my cheeks. On darker skinned ladies, it would give a nice wash of color with a gorgeous sheen. 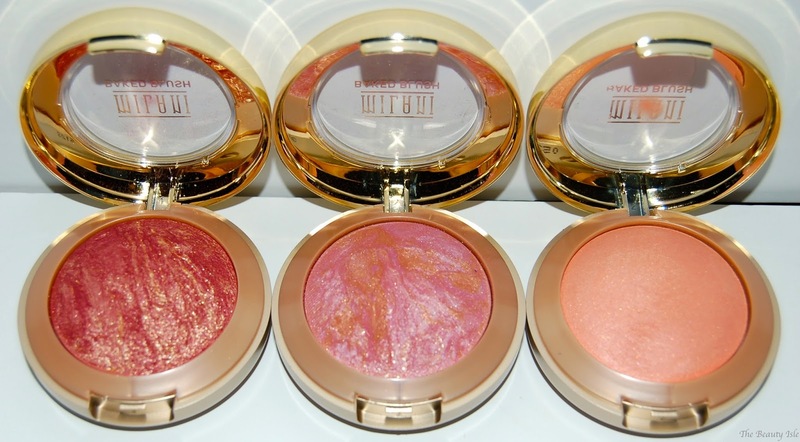 I absolutely love the Milani Baked Blushes! The shades I have are gorgeous, blend really easily and last all day. If you prefer matte blushes, then I would recommend that you skip these because they definitely give a sheen or a shimmer. These blushes retail for around $8 depending on the store and are sold anywhere you can find Milani products including Walgreens or online at Drugstore.com. 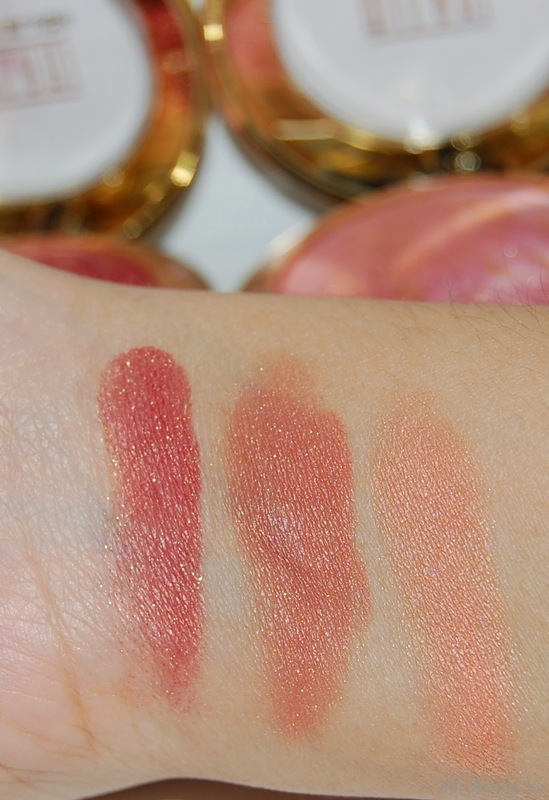 What is your favorite drugstore blush? Darn, this was a long week! After being off work for 2 weeks, getting through this week was rough! I bought myself an Ikea Alex dresser and right now I'm just trying to organize it to my liking. A makeup collection and storage post will be coming your way very soon!